In my son’s household, like in many families, birthdays are special; sometimes a celebration lasting several days. Each child will receive a birthday meal. The meal is whatever the child wants. It could be something mom makes or a trip to a restaurant, but the birthday person chooses. Then there is the party. Your typical family and friends with cake, ice cream, and the opening of presents. Later, on top of all this comes the event. The birthday boy or girl chooses something to do. Usually, it is along the lines of going to see a newly released movie or a concert of a favorite performer. A trip to a pottery shop was the most recent. All the children came home with figurines they had made and painted, along with smiles of joy from being creative. Sometimes, the dinner, the party, and the event are all in one day, but usually, it is spread out over a week or two. Another big birthday is coming up before the end of the month. December 25th; the day we celebrate the birth of our Saviour Jesus Christ. Now, before I receive emails telling me we do not know the day of Jesus’ birth or that Christmas has some roots in a pagan holiday, let me say this — we should be far more concerned with what Christmas is becoming than with its origin. Two weeks ago I mentioned in this column of three young girls that visited our church for the first time. It happened to be on a day the children were practicing the Christmas program. The girls participated by being extras and dressing up as barnyard animals, singing with the group and making animal sounds while Mary, Joseph, and Baby Jesus played their parts. When it was over the twelve-year-old asked my wife, “What does all this have to do with Christmas?” The girls had never heard the Christmas story. Christmas may be about the birthday of Jesus, but these girls had never heard of Him or the story of His birth. Many families may not go as hog wild as my son does with birthdays, but in all birthday celebrations, the birthday boy or girl is the center of attention? Should not the day be about them? When was the last time Jesus’ birthday was about Him? When was the last time He was the center of attention? Even with the barrage of Christmas movies every year, most center around some “miracle.” The saving of a town or business, the turning of a grump’s heart into something benevolent, or someone dumps a selfish, egotistical fiance and falls in love with the kindest, tenderhearted, loving person in town. The birth of Jesus (remember who the day is about) is given a cameo appearance in the films and often in our real lives as well; if He receives that. Consider the birthday celebrations in my son’s home and translate them into Christmas. A dinner, a party, and an event. When people eat together there is a conversation; there is fellowship. Talking, laughing and serious discussion flows freely. When families eat at the same table, there is a bond that forms. One thing everyone can do to center the Christmas season around Christ is talking more with Him — prayer. Allow Him to speak to you — read your Bible. He is knocking at the door; He desires to come in, have a bite to eat, and some healthy conversation. The birthday party is where the birthday boy is the center of attention. Friends and family gather from near and far to celebrate the person having the birthday. Will Jesus be the center of attention during His birthday season in your life this year? When the emphasis is gifts, Santa, decorating and all the other events of December, often the Birthday Boy goes unnoticed. Doing something the birthday boy, Jesus, wants to do. He died for you. He currently is seated at the right hand of the Father, and He wants to work in you. He will work in your heart to make you more godly. He will work in your life to influence others. Will you let Him? Christmas is a perfect time of year to think of Him and turn ourselves over to Him. Give Him the event He desires — your surrender to Him. As the years pass, in our society, the birth of Christ becomes more and more forgotten within the Christmas season. What about in your life? Your household? This December — let’s hear it for the Birthday Boy. Rev. 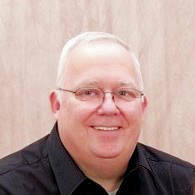 Timothy Johnson is Pastor of Countryside Baptist Church in Parke County Indiana. Email: preacherspoint@gmail.com. Johnson is available for revivals, prophecy conferences, and other speaking. His sermons can be found on SoundCloud. All Scripture KJV.